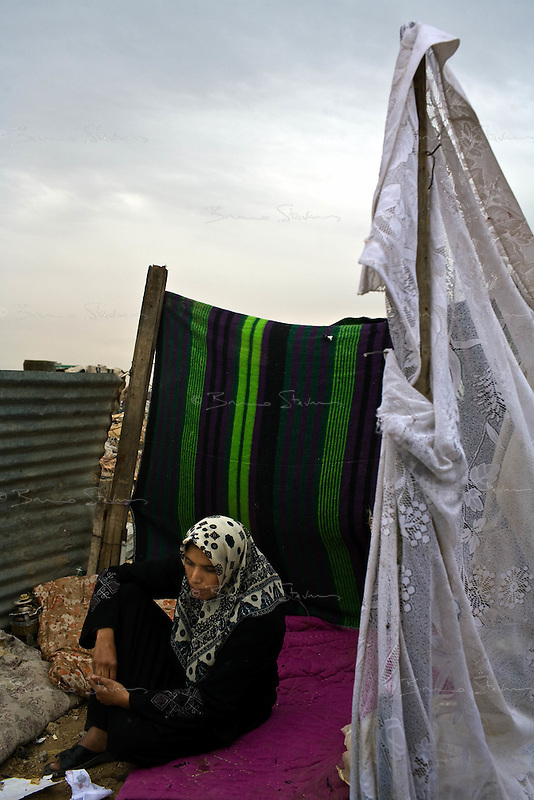 Jabalya, Gaza Strip, Jan 23 2009..Siham Abu Rachel, 34. her mother was killed when the Israeli army shelled their family home. Stunned inhabitants of Jabalya return to where their homes, farms and factories used to stand, only to find a huge rubble field, levelled by Israeli bombs, explosives and bulldozers. Not a wall is standing over a very large area on the eastern side of the village facing the israeli border..